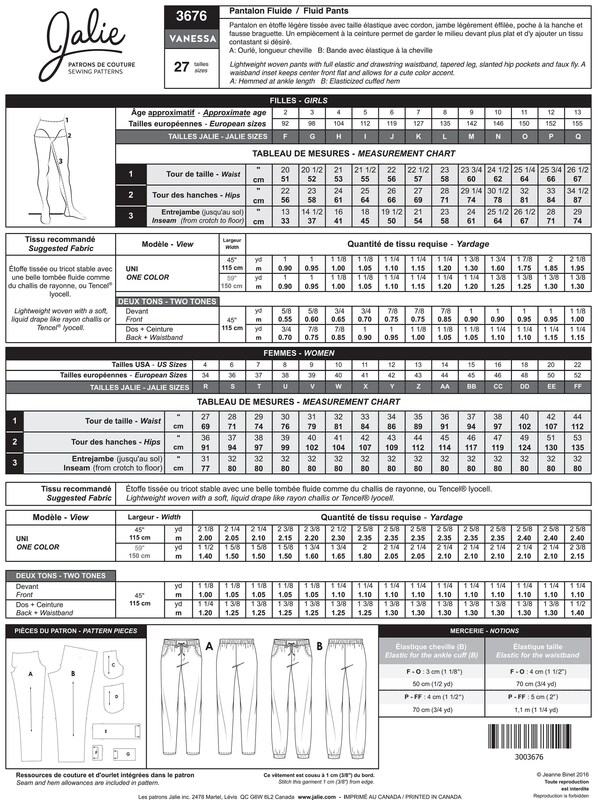 Package includes patterns and instructions to make Lightweight Woven Pants with full elastic and drawstring waistband, tapered leg, slanted hip pockets and faux fly. A waistband inset keeps center front flat and allows for a cute color accent. View A: Hemed at ankle length. View B: Elasticized cuff hem.